Camila Villard Duran is an Oxford-Princeton Global Leaders Fellow (GLF), at the Global Economic Governance Programme (GEG), University of Oxford and Assistant professor of Law at the University of São Paulo (USP). The purpose of her research is to develop an interdisciplinary critical reflection on the International Monetary Fund’s institutional design, aiming to contribute with policy proposals to enhance the Fund’s legitimacy and accountability, particularly towards emerging and developing countries. 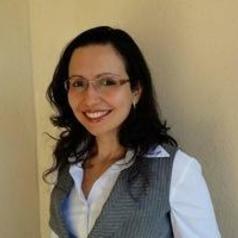 Camila completed her Ph.D. in Law at USP and the University of Paris 1 Panthéon-Sorbonne (double degree). She developed an applied and comparative research on central bank accountability. She is the author of the books “The legal framework for the monetary policy: a case study” and “Law and money: the Brazilian Supreme Court and the judicial review of monetary stabilization policies” (in Portuguese).